It's warm, pleasant, and sunny in Warsaw, as we invite each one of you to join us pre-Easter to celebrate our official event with fellow members of the InterNations family! 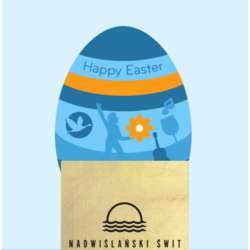 Nadwiślanski Swit is the perfect venue for this occasion. We can order various polish delicacies as well as European dishes along with the drinks as we socialize and network. Don't miss the opportunity to take part in the event! Please note that you can always invite your friends to come along. P.S: If it is your first time, and you feel shy to come to the event by yourself, don't hesitate. We will introduce you to other guests and other newcomers and in no time, you will have some new friends ! so join in !